These fuel injectors, Bosch part# 0 280 155 968, are very popular in many forced induction setups, as they flow enough fuel to prevent detonation at high rpm, and maintain adequate fueling. To use these on a BMW, you must have specialized tuning, as these provide far too much fuel with a stock or naturally aspirated setup. 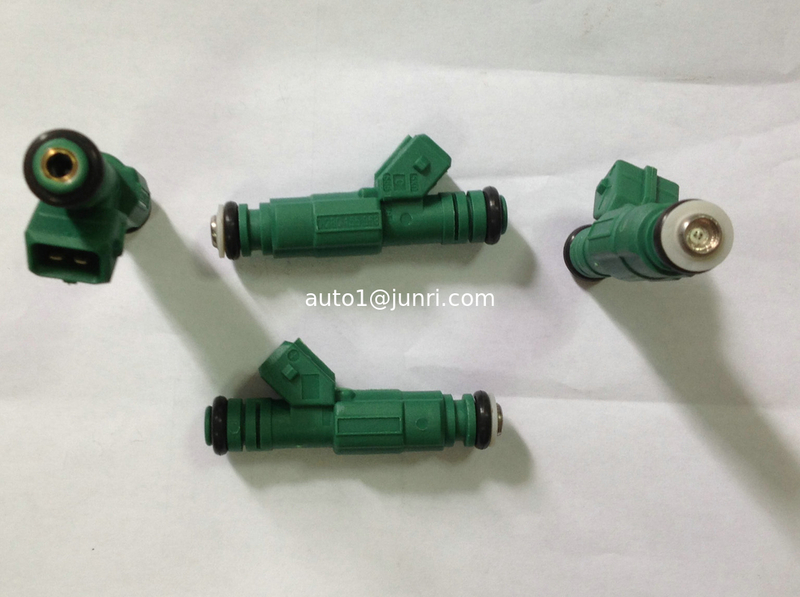 These injectors are often referred to as the "green top" injectors, (often referred to as the Ford Racing EV1 Style fuel injector or M-9593-F302 ). This Bosch 0280155968 Green Giant fuel injector is the OEM proprietary part used by Volvo for their. The injectors use a multi-hole disc fuel delivery nozzle with a wide cone spray for maximum fuel atomization. Can be modified to fit TPi set ups!